Troy Caldwell, M.D. is psychiatrist and spiritual director. In his clinical role, he began seeing God work directly in the souls of his patients. This, combined with his interest in Spiritual Theology he studied at the Anglican School of Theology) propelled him into the role of Spiritual Director. He wrote Adventures in Soulmaking to tell stories of those he’s walked alongside, to explore ‘the patterns of Christian spiritual passage,’ to encourage people to be more conscious of their spiritual journey and as an aide to helping professionals (pastors and spiritual directors). Caldwell combines the insights of the Christian mystical tradition with the depth psychology of Carl Jung. Adventures in Soul Making is presented in two parts. Part one provides a ‘coherent model of the soul.’ Caldwell begins with the story of a peddler who gives all his wares away and isat the point of starvation, when a dream leads him to discover a treasure buried by his cabin. While listening to dreams may sound foolish to some (like one character in the peddler story), Caldwell sees this as a place for revelation of our deepest self and a place for Divine encounter. Caldwell shares his own story and stories from directees to illustrates dreams’ importance and the insights from Jung. Next he explores the ‘spiral path’ of Christian Spirituality (the Purgative, the Illuminative and the Unitive). Unitive is the goal but much of the focus of this book is on the Illuminative. Chapters four and five speak of the soul and levels of consciousness. Chapter six describes Nous Theology. Caldwell calls the Nous, our deepest self and he sets it in opposition to sarx (our base desires which cause us to sin (72-76). The next chapters (seven through twelve) dig into the importance of symbol and archetype (concepts gleaned from Jung but illustrated through Bible passages). Chapter thirteen explores how symbols and archetypes reveal the meaning of our dreams. Part two (chapters fourteen to twenty) explores deeper important spiritual practices (i.e. the examen,contemplative prayer, scriptural meditation, lectio divina, journaling, inner healing prayer, etc) and tools for discernment. This is the more practical, less theory side of the book. This is an interesting book and Caldwell has many fine things to say. I have been blessed by spiritual direction and appreciate the insights of psychology; nevertheless Caldwell’s use of Jung and archetypal symbols seems a bit esoteric to me. At one point, Caldwell quotes a Gnostic gospel to illustrate his nous theology. Later he directs his readers to listen to a Twila Paris song. Somewhat eclectic sourcing here. This is a book about the spiritual life. It is about going deep into yourself, paying attention to your inner dynamics and the power of Christ to bring personal breakthroughs. I find myself agreeing with the practices that Caldwell suggests without feeling like I can endorse his theology wholesale. There is a strong body/soul dualism running through his theology and method. Talk of higher consciousness and archetypes are sometimes illuminating, but they also lend to a sort of neo-gnosticism. I find troubling. The emphasis throughout this book is on our own subjective spiritual experience. I am not dismissing Caldwell as a Gnostic or denying the reality of spiritual experience. I am noting my unease with certain directions. One of my standing critiques of self-published works is that reading them, you feel the editor’s absence. That is true here too, though in Caldwell’s case I think he has a narrative flow, and no grating grammar problems. I think this book would be helped if his prose was more concise and the book was shorter and the organization was tightened up a little bit. These criticisms aside, I like this book enough to keep it on my shelf and there are sections I will likely refer back to. Certainly God uses symbols and the symbolic world to communicate to us. I appreciate Caldwell’s call for us to pay attention to where we are and where God is leading. I give this 3 and a half stars. The old joke about seminaries is that they are cemeteries. I first heard this when I was discerning a call to vocational Christian ministry. “Why do yo want to go to cemetery?” My theological education was decidedly more lively than this crypt-ish descriptor. God used my time in seminary to shape me. As I wrestled with doctrine, but I also pressed into prayer and community and came face to face with some of the ugly bits of my heart that still needed to change. God was gracious to give me friends and mentors who spoke into my life. But the point of the ‘cemetery’ label is well taken: learning about God–theology, biblical history, exegesis, hermeneutics, discipleship–does not necessarily translate into ‘life with God.’ Sometimes theological centers of learning fail to form us spiritually. Paul Petit is aware of this phenomenon. 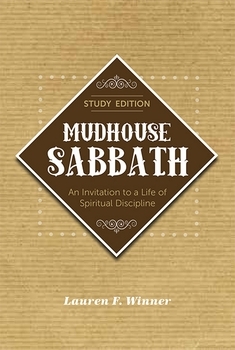 As the director of the spiritual formation programs for Dallas Theological Seminary has edited a volume which describes a ‘community approach to becoming like Christ.’ Most of the contributors to Foundations of Spiritual Formation are somehow connected with Dallas (either were students there or teach at the institution); however this is a multidisciplinary project and each author has unique insights.. Contributors turn around the notion of spiritual formation and examine in from various different angles. The result is a holistic and comprehensive look at what Christian spiritual formation is. Howard Hendricks writes the forward and argues for the necessity of small groups for spiritual nurture. 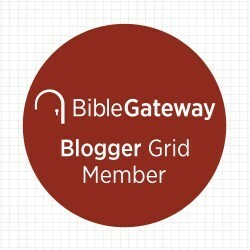 Pettit’s introduction helps give a relational, holistic definition for ‘spiritual formation’ and urges us towards the practice of Spiritual disciplines as way to cooperate with the grace of God operating in our life (we don’t change our hearts, only God does that, but we can participate in the process). Pettit’s introduction is unpacked further in part one of the book. Jonathan Morrow describes a distinctively evangelical model of spiritual formation in chapter one (a model that is Christocentric and biblically-rooted). Richard Averbeck unfolds the formative nature of Christian worship and how spiritual disciplines help us ‘lift our sails’ so that God’s Spirit can move us closer to Him. Gordon Johnston and Darrell Bock explore the nature of spiritual formation in the Old and New Testaments, respectively. In both instances they focus on the nature of community and how it lays a foundation of response for growth. In part two, the contributors turn their gaze toward the practical elements of Spiritual formation. Klaus Issler focuses on the soul and the emotional life in Spiritual formation; Reid Kisling explores the importance of character development in spiritual formation; Bill Miller looks at the nature of love as a ‘lived-out action’; Andrew Siedel examines our identity in Christ and its implications for Christian leadership; George Hillman describes God’s unique call on us as individuals (in service to the wider Christian community); Gail Seidel helps us attend to God’s transforming work in our lives by narrating our own life stories; finally Harry Shields explores the importance of preaching in spiritual formation. Each of these essays are instructive and helpful for laying out a full-orbed vision of spiritual formation. I appreciated both the depth and the breadth of these essays. The authors delve deeply into the biblical foundations for community and spiritual formation. 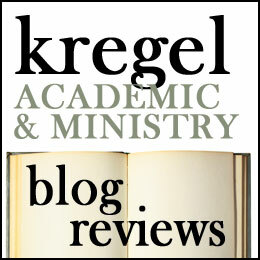 They also navigate theology, insights from contemporary psychology, and leadership literature. The multi-disciplinary approach models a ‘community approach to Spiritual formation’ even as the authors give pride of place to the concept of community in our formation. This means the authors (under Petitt’s editoral direction) practice what they preach. The essays are fairly cohesive but the authors do not necessarily agree on every point. Howard Hendricks forward relativizes the importance of preaching in favor of small groups, whereas Harry Shields gives it a place of privilege. Yet the distinctions between each chapter also rounds out the picture of spiritual formation presented here. I recommend this book for seminary students and ministers hoping to grow spirutually and lead others in transformative encounters. This is a great resource. I give it four stars. Notice of material connection: I received this book free from Kregel Academic in exchange for my honest review. At the heart of who we are is a longing for connection and relationship. This longing is thwarted through our woundedness but it doesn’t go away. One of the joys of coming to Christ is being brought into relationship with the Trinity–Father, Son and Spirit. We are invited into the primal relationship! Our spiritual maturation involves us learning what it means to give and receive love, the way this God-in-relationship does. Richard Plass is the president and Jim Cofield is the the co-director of Crosspoint Ministry in Jeffersonville, Indiana. There they invest in the spiritual formation of leaders and in matters of soul care. Their approach to spiritual formation is biblical rooted, psychologically sensitive and historically informed. Their new book, The Relational Soul: Moving From the False Self to Deep Connection, explores the relationality at the core of our being, how unhealthy attachments cause us to act out from the false self and how our relationship with Christ enables us to move towards greater relational health and wholeness. While these first chapters lay the ground work for the movement of spiritual formation, the last four chapters focus on the practical aspects of spiritual formation and accompanying disciplines. Chapter seven examines the necessity of self understanding in the spiritual life, chapter eight the importance of community; chapter nine explores the core spiritual disciplines for engaging with God (i.e. solitude, silence, contemplative reading of Scripture, and contemplative prayer). The end goal is chapter ten: transformation–dying to the (false) self and being raised with Christ, being fully enabled to give and receive love. This is a phenomenal book full of rich insights on our fallen tendencies to protect ourselves from hurt, and thus cut ourselves off from true relationship. The good news of the gospel is that Jesus came to set us free to love and be loved. When we enter into the life and freedom that Christ brings, we enter into relationship with the Triune God and that changes everything. I really loved Plass and Cofield’s description of the process and their insights on how we are formed spiritually. The concepts in this book are not ‘new’ to me. I have had my own struggles against the false self and had to wrestle through ways in which I was relationally ‘shut down.’ My false self is buoyant and independent and holds others at bay. It took some loving and committed friends and mentors to help me confront the relational patterns which were keeping me from growing in my friendship with God and others. I can say experientially that the movements which Plass and Cofield describe are true. They also describe the journey I still need to take as I still strive toward greater wholeness and transformation.